I always try to start Mondays looking the most professional; we have a lot of meetings and appointments. 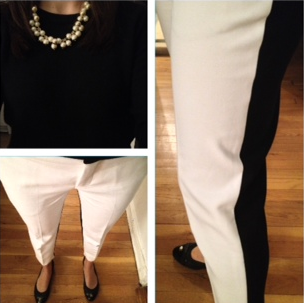 I wore one of my favorite pairs of Zara pants. It slowly goes down hill in “professional” looks from there. 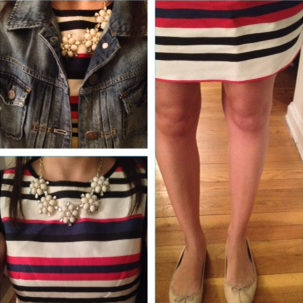 The beginning of the week was beautiful in NYC – I wore skirts and dresses (from J. Crew) without tights for the first time! 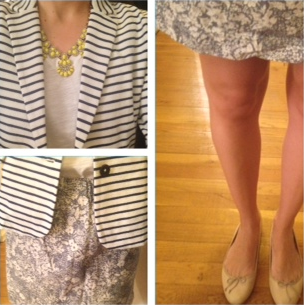 And, I wore my new favorite striped J. Crew blazer. Perfection. 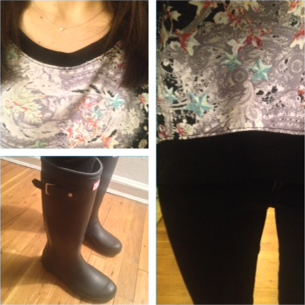 Then we faced torrential downpours, so I broke out by printed Cynthia Rowley sweatshirt and Hunter rainboots. 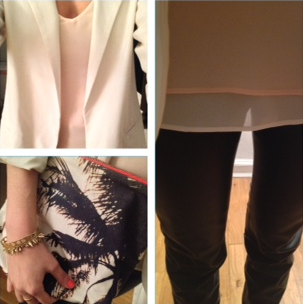 By Friday night, the rain had lessened enough for a neutral look with leather pants and heels + my favorite Dezso pouch. 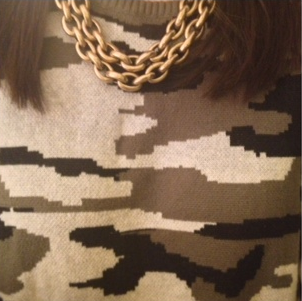 This entry was posted in Personal Style Fie and tagged Anthro, Cynthia Rowley, Dezso, Hunter, J. Crew, ootd, ootn, Zara. Bookmark the permalink.